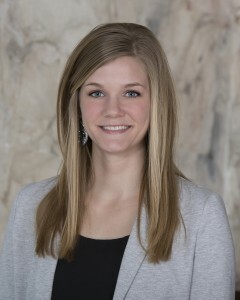 Kayle Weichel is the newest member to the team at Doran Post & Associates and a great asset to our agency and clients. Kayle is originally from Minnesota where she began her crop insurance training. Although she is licensed in other lines and a very capable property and casualty agent, Kayle enjoys working with farmers on their crop insurance needs the most. Working with area farmers comes pretty natural to her. Growing up on a farm in Minnesota where her family still farms has given her a strong background in agriculture. When not working, Kayle has taken an active role in helping area 4H students with their horse projects. Kayle and her husband Heath both enjoy the rural life style we all love.